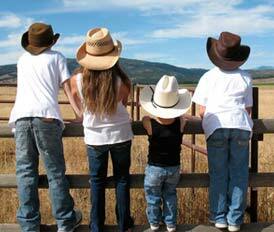 The rodeo-riding cowboys and barrel-racing cowgirls who compete at the Black Gold Rodeo come from all over the map. Although they are all a part of the Canadian Professional Rodeo Association's (CPRA) Alberta Circuit, this doesn't mean they can't live somewhere else, just as long as they rodeo in our province. 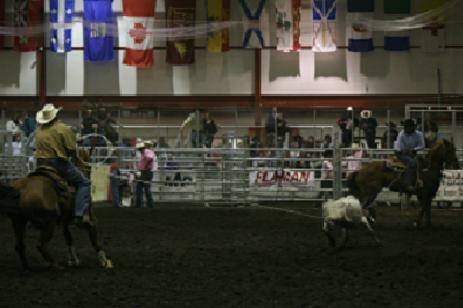 The Alberta Circuit is the only rodeo 'league' in the country that is comprised of rodeos from just a single province. The "Prairie Circuit" for example, includes both Saskatchewan and Manitoba while the other 'leagues' such as the Grass Roots Finals and the Wrangler Pro Tour takes their scoring from rodeos in a number of provinces. As expected, many of the Alberta Circuit riders do hale from the central Alberta region such as Big Valley (Josh Harden), Camrose (Brett McCarroll and Coy Robbins), Rocky Mountain House (Jim Berry), Warburg (Jesse Torkelson), Rimbey (Dean Edge) and Ponoka (Trygve Pugh). Others come from much farther away; from as far south as Pincher Creek (Dustin Flundra) all the way up to Sexsmith (Lee Rumbough). Riders from the west include a pair of BC cowboys; one from Kamloops (Mike Beers) and the other from Merritt (Ty Pozzobon). The most eastern-based rider is Spur Lacasse who hales all the way from Mirabel, Quebec, although there are a pair of Manitoba towns represented, Neepawa (Justin Miller) and Deloraine (Colin Adams). Since rodeo is how ranchers party, when we are rooting for our favourite BGR competitors, let's give a warm, welcoming hand to all the contestants who come so far to entertain us. Maybe someday we can welcome cowboys from the Maritimes, too.